When I am watching water birds, it is hard for me to predict when they will decide to take to the air. Often they give no visible warning. 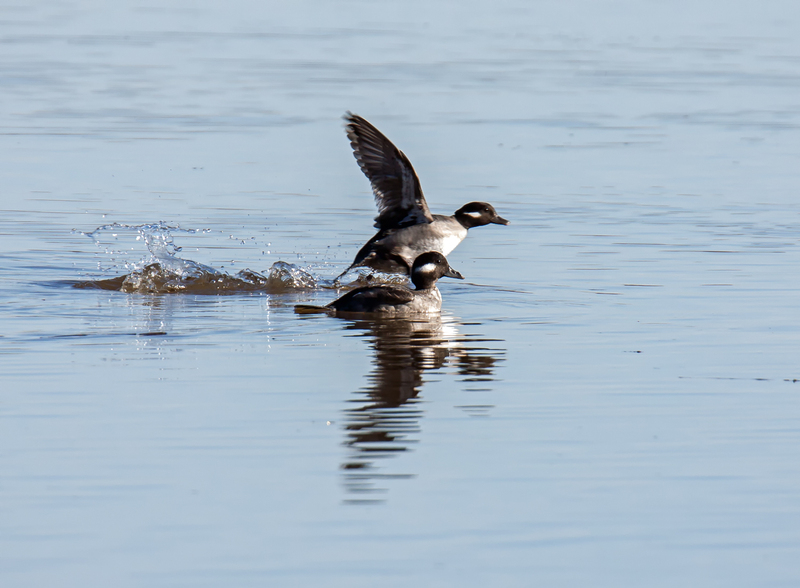 Some species, though, need to dance across the water to gain momentum before they can lift off, like this pair of female Buffleheads (Bucephala albeola) that I observed last week at Occoquan Bay National Wildlife Refuge. The one in the back had already started its takeoff maneuvers when I captured this image and a second later the second bufflehead was also skipping across the water.